I still don’t quite get the term “Transient Visitor Levy” because by definition aren’t all visitors transient? No matter, but what does is whether Edinburgh would benefit. 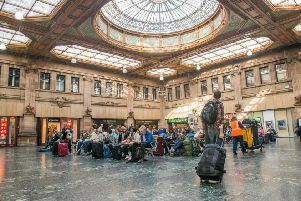 Tourist tax supporter John Donnelly, Marketing Edinburgh’s chief executive, argues a solution is needed which “balances Edinburgh’s growing tourism demand against shrinking public budgets”. The problem is there is no guarantee budgets would not continue to shrink because the Scottish Government currently calculates council block grants by its own formula and deducts money raised through local business rates. So the likelihood is the £11 million expected from the new charge will just be lopped off Edinburgh’s grant.